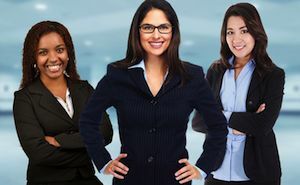 “The Women in Leadership Symposium functions as a forum for female executives to share their personal success stories and challenges they faced while climbing the corporate ladder,” said Dennis Kennedy, Founder & Chair of the National Diversity Council. This half-day event will offer a panel discussion that will delve into a variety of topics, such as “Developing Political Savvy: Hard Work and Talent Are Not Enough,” Positioning Yourself for the Next Big Opportunity,” and “Becoming a Person of Influence.” Participants include business professionals, entrepreneurs, non-profit organization representatives, and scholars. Following the discussions, participants will have the opportunity to share their thoughts in an open question and answer session.